This is just such a great feel-good story, no one could possibly have any problems with salvaging public timber at taxpayers expense. Could they? 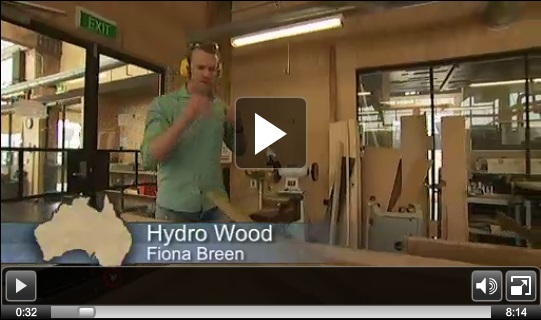 Hydro Wood – Landline – ABC. Generally I support the project. And I congratulate SFM Forest Products for getting the project going. However I do have a few issues that I think warrant consideration. And the ABC Landline program was screaming these issues at me loud and clear. 1) The complete disconnect from any commercial reality (but we do have a very long tradition of this in the forest industry). Can the market absorb an extra 20,000 cubic metres of specialty timbers per year? How will the wood be sold to market? Tender? Auction? Mates rates? Will these logs be available for export? What impact will this have on current market prices, especially for blackwood, given that private growers will be competing against even more subsidised wood? For heavens sake!! When will the private forest grower ever get a fair deal in Tasmania? When will we stop bastardising the forest industry? When will we stop thinking of the forest industry as a community service and start thinking of it as a business? 2) If the timber resource is so valuable then why the need for a taxpayer subsidy? The forest industry already has a bad track record of squandering vast millions of Government handouts and subsidies. This just sets yet another bad example, and it didn’t need too. This could have been a fully commercial, profitable operation with no taxpayer funding. Here’s a recent example from New Zealand that provides a much better model for how to deal with the salvage of a public special timbers resource, and this will result in money going to the Government not costing taxpayers. Why can’t we do it this way in Tasmania? And this is just the first of what they hope to be many Hydro special timbers salvage operations!! Excuse me while I scream in frustration!!! There will be very little investment in blackwood in the next few decades whilst the market is flooded with this cheap subsidised wood. Screw my plans for a blackwood growers cooperative! Screw existing private blackwood growers whose resource is now worthless! I think given this is a private company running the Hydrowood project whose goal it is to look after the interests of private forest growers, a bit more thought on the commercial context and planning would have made this project much more agreeable to private blackwood growers. As it is I think the project is currently detrimental to the interests of private blackwood growers. This needs to change! Please can’t we do better than this?